H.R. 2410: Foreign Relations Authorization Act, Fiscal Years 2010 and 2011 “To authorize appropriations for the Department of State and the Peace Corps for fiscal years 2010 and 2011, to modernize the Foreign Service, and for other purposes” passed last night in House Vote #328 in 2009 [see govtrack page here or primary source]. Vote summary: Aye:235 (54%); No:187(43%); Not Voting:11(3%). A simple majority of 422 votes (=212 votes) was required. H.R. 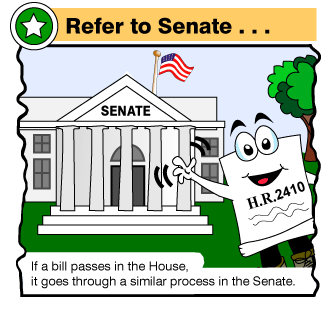 2410 – Foreign Relations Authorization Act, Fiscal Years 2010 and 2011 here. Read more on H.R. 2410 page in Govtrack. See H.R. 2410 page in Thomas. The text of the bill is here and the CRS summary can be accessed here. Since the bill has passed the House, it now goes on to be voted on in the Senate. Sounds like this is on a fast track, we’ll see what happens next. Folks who have never been an EFM (eligible family member) or who never had a loved one face the agony or depression over joblessness or starting all over every 2-3 years may find it hard to understand why diplomatic spouses and partners with careers of their own would want more. They have free housing overseas, their employed spouses have allowances, and life is not generally bad (unless you consider ingesting Clorox with your salad, picking out bugs from your grain jars, dealing with all sorts of tropical illnesses as bad). The spouses get to meet interesting people, learn a foreign language (when space is available), and can get up at 10 am if they want … there really is nothing to complain about, or is there? Let’s see – in that era, two for the price of one or a “twofer” was the norm. In the past, when the State Department hires a diplomat, it gets the bonus of a diplomatic wife, unofficial representative and unpaid laborer rolled into one. That traditional role of the diplomatic wife has now been overtaken by events. Women’s participation in the workforce has grown dramatically over the past few decades, which has led the way to the dual–income household. In 1950, the typical family structure consisted of a full-time working father, who was the sole wage earner, and a stay-at-home mom. According to the Labor Statistics, in 2008, only 19.5 percent of families have the husband as the sole employed member. Perhaps Powell’s line should be updated for our times — the only difference between a derelict and a person is a job. Foreign Service spouses and partners may be far from the derelicts we see on the streets, but in a sense, without jobs — they are people unable to support themselves overseas and the lives they live abroad are always, always contingent on the official position of somebody else. At some posts, even requesting minor repair in your house/apartment had to be done by the employee. Upon their return home from the overseas assignment of their spouses/partners, their limited job experience compounds the challenge of job hunting. And if they are not careful — with truncated work lives, minimal retirement contributions and life expectancy currently at 88 years — women especially, could become real derelicts in their old age! Expanded Professional Associates Program: This allows for the hiring of US citizen-spouses in hard to fill posts where the employee is assigned. Last year, 105 qualified spouses were reportedly hired. But — considering the numbers of family members who are not working, I’d call that a drip in a large tin roof. AFSA has also reportedly urged the Department to pay hardship differential to family members who agree to take unfilled jobs at unaccompanied posts. I don’t know where that is right now. I supposed it can be argued that if State has already given a spouse a job, why should it also give a spouse a hardship differential? After all, the official employee already gets the hardship differential (see a remnant of the “twofer” plan here?). On a related note, the Department’s staffing decision like the Diplomatic Readiness Initiative did much to address the shortage of officers a few years back, but this also had the unintended consequence of eliminating positions that EFMs previously held or could effectively compete to fill. I imagine a similar thing could possibly happen as soon as hiring ramps up once more. We probably should call this the WAN-BNF program, for “when actually needed but no funds,” as spouses are cheaper to hire when there’s no budget for direct hires. GEI/SNAP Program: A few years back the FLO started its GEI/SNAP program– the Global Employment Initiative/Strategic Network Assistance Program to assist family members seeking work outside the mission. It is a pilot program operating in 18% of our overseas posts. I understand that last year, the Dept/FLO offered to fund for two years the local employment advisor positions in expanded locations overseas. One management counselor said he declined the offer because he would be saddled with finding a funding source for the position after the pilot program is over. Not a surprising response. The OIG Inspection Report from 2006 indicates that several posts that previously had employment advisors funded by FLO have not continued to support these positions. That said — it is hard to tell from the FLO stats how many of the 1,133 family members working outside the mission were helped by this program. If you consider that there are 24 GEI/SNAP in country offices with part-time/full-time employment advisors, 8 Regional Services, and Virtual Support Services supporting 19 posts — one has to wonder at the efficacy of this program. I’d like to see the 2008 statistics if only to know that the number of out-mission employment has improved and that funding for this initiative is justified. One last thing to add here — most jobs in the local economy usually brings lower than US rates in terms of salaries and wages. In addition, those jobs do not count towards retirement security in the United States. It makes you wonder why there is such a big push on this one when there are other options for getting spouses trained or employed without jeopardizing their career and retirement prospects. Jobs in the Consular Bureau (CA/EX): The Consular Affairs Bureau continues to hire Consular Associates, Roving Adjudication Specialist (RAS) for any of the ten U.S. consular posts in Mexico, and Professional Adjudication Specialists (PAS) which allows qualified Eligible Family Members (EFMs) to receive visa and passport adjudication training and authority and provide adjudication services in consular sections overseas. I don’t have the specific statistics for this group but I imagine that these jobs are accounted for under the 25% working inside the mission worldwide. A word on the Professional Adjudication Specialists: “Resident at post on their spouse’s official orders, PAS adjudicators are the most cost effective and favored program to supplement adjudicator workforce capacity.” Cost effective as in cheap? According to the FLO website, the Bureau also has a position available for Eligible Family Members with Executive Order Eligibility to serve as a Roving Adjudication Specialist (RAS) amongst any of the ten U.S. consular posts in Mexico. It did not say how many positions. Here’s the thing though — doesn’t the RAS program amount to economic discrimination — the job availability is confined to one area of the hemisphere and the program is not available to spouses under official orders in other US missions abroad. Why is that? Professional Development Fellowships: The Department funded the Professional Development Fellowships for spouses/partners unable to pursue their careers while overseas. According to the FLO website 124 proposals totaling $182,517 were selected for funding from the 182 applications submitted for consideration. That’s an average amount of $1,000. My neighbor who has been in the FS since 1995 had applied twice; a couple of years back she finally received an $800 award to obtain some certification. This program was initiated in 2005 as a pilot program funded by the Cox Foundation which provided $20,000 in reimbursable fellowships for enrichment activities, including small business start-up costs. In 2006, FLO designated $50,000 of its FY 2006 budget to this initiative in addition to another $50,000 provided by the Cox Foundation. I understand that this program is now solely funded by State, and thus, start-up business cost has been eliminated from reimbursable activities. I have no current numbers as to budget allocation for this program in FY09 or FY10. If you have updates on figures, please email me. I am aware of at least one post in the WHA Bureau where a spouse was hired under this concept sometime in 2006-2007. What I am not sure is if the salary cost was centrally funded or if the FLO used its own meager funds to equalize the costs. I could not locate any other publicly available resource for this. Suffice to say that since this program was not funded under Colin Powell’s term as Secretary of State, this would have made real news if funded under Secretary Rice’s tenure. For all these initiatives, defenders would say “But this is better than nothing.” I’m sure for the 105 spouses who are working at hard to fill positions and for those who found consular adjudication work — that probably is true. It may not be what they wanted to be when they grew up, but it is work with corresponding pay and benefits. This also means something if you have kids in college, or if you are concerned about becoming a bag lady in your retirement years. I have long ago decided that the “better than nothing” argument is a lazy way out whether you work inside or outside the government. It allows people to reach for the easy response, it makes management do just enough to avoid being accused of doing nothing, but above all, it blinds people to the harder work in searching for creative and innovative solutions to address the core issues. I imagine that in a future perfect universe, the Foreign Service can hit two birds with one stone in a slingshot: In a future Foreign Service, the diplomats will either be expected to remain single or go on expeditionary assignments to the far corners of the globe, and leave their spouses/partners, kids and pets at home. In one swoop, it can staff all its war zone and hardship posts and won’t even need to sweat over spouse employment. Two problems solved. But would that be your Foreign Service? AFSA Election Fireworks Coming Soon? We’re hearing words that CLEAN Slate has been accused of improperly obtaining email addresses. If you watched the town hall meeting, you might note that this charge was on the statement read on Tex Harris’ behalf during that event. I’m waiting to see if there is a rebuttal for this. What are you hearing?? The AFSA town hall meeting occurred on May 8th. Votes are scheduled to be counted tomorrow, June 12. I wonder why formal complaints were not made before the Election Committee then. I saw just now NDS’ post with the letter from the Elections Committee. One wonders if these were separate complaints sent to the Committee or an organized campaign. But this late in the game? Hmnn… could it be that we’re going to see a Norm Coleman challenge to the AFSA election results soon? Of course not! Of course not! Diplomats do not engage in fisticuffs politics, right? Right? You would not expect the Oxford top poet post to spur an infighting either, and fight they did. Guardian columnist Zoe Williams said that “You have these two people held, as poets, to represent the highest in human sensibility, and as academics, the most advanced in maturity and sophistication, and they’re pulling each other’s pigtails,” she wrote. Stay tuned. We should see soon how diplomats turned politicians behaved post election. Read “A Villanelle to Oxford Skullduggery” just for fun!